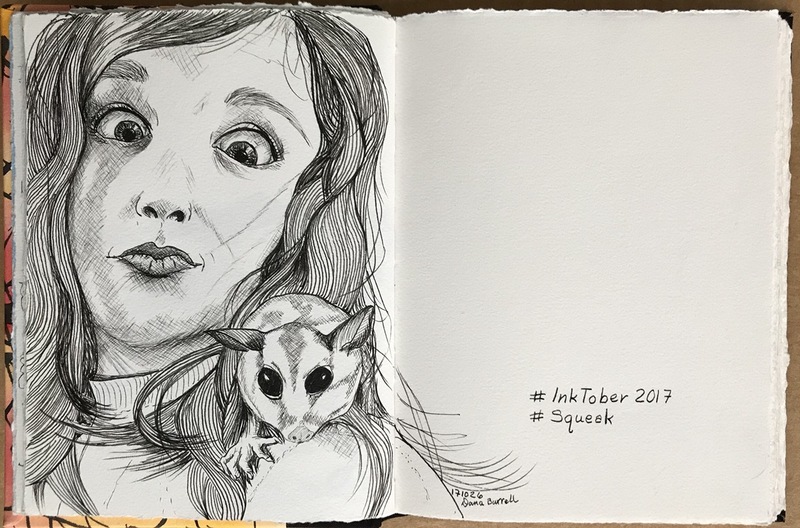 Yes, thirty days in and I’m exhausted from the nitty gritty of checking the daily prompt, searching the Sktchy app for a photo that speaks to the prompt, and on top of all that, is both something﻿ I want to draw and is achievable with my skill set. 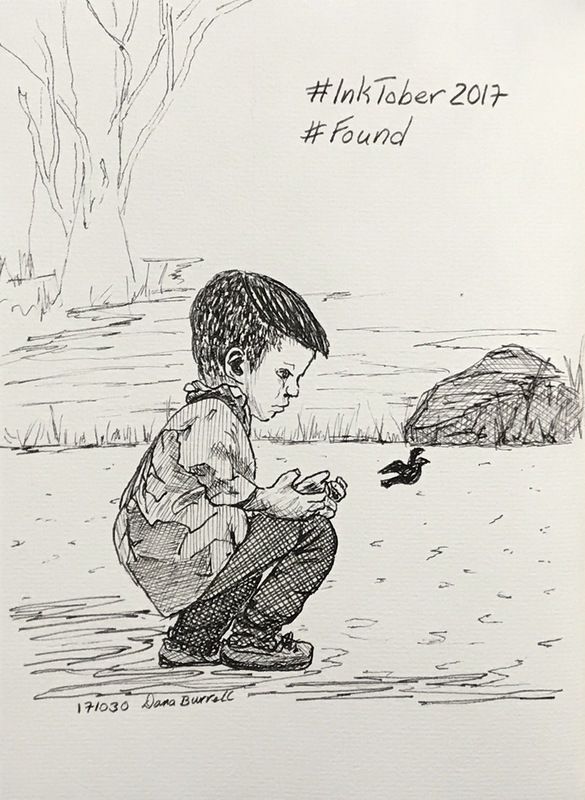 Some artists love prompts. 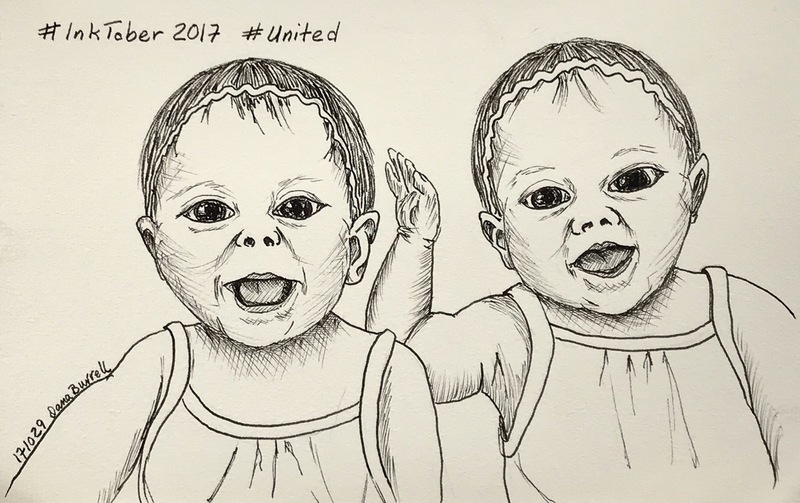 I tend to rail against them. Correction, I’m all gung-ho at the start but then, as the days click on, I become disenchanted. It’s a struggle. But today I’m happy! I have only one more prompt to consider and I’ve already picked the photo I’ll use as inspiration. 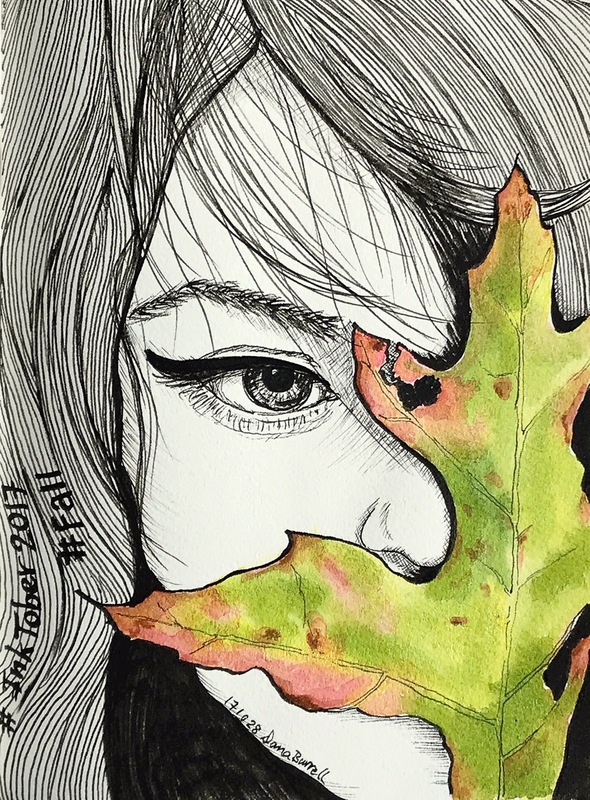 By this time tomorrow I’ll have posted Day 31’s drawing and with any luck, the rain storm we’ve been having will have blown out of town and I can get ready for Halloween and the swarm of trick-or-treaters. 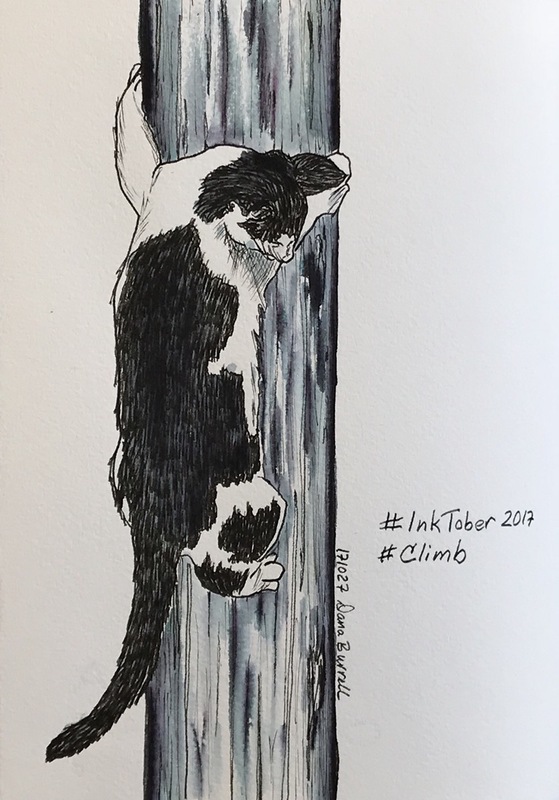 This entry was posted in Inktober2017 and tagged Climb, Fall, Found, InkTober, Squeak, United by Dana Burrell. Bookmark the permalink.